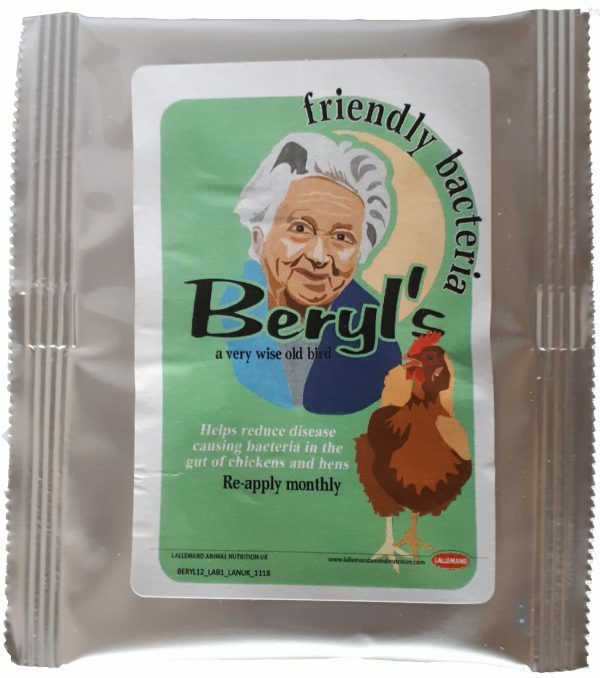 Beryl’s contains a complex range of 200 different friendly bacteria specifically produced for poultry. 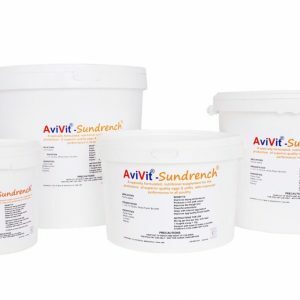 It is composed of the normal gut bacteria from healthy adult, specific pathogen-free (SPF) chickens. Beryl’s acts by competitive exclusion. The competitive exclusion mode of action is the natural phenomenon where normal healthy intestinal bacteria colonize the intestine and out-competes potential harmful bacteria. 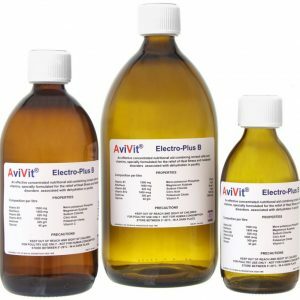 This process involves both environmental conditions and nutrients. 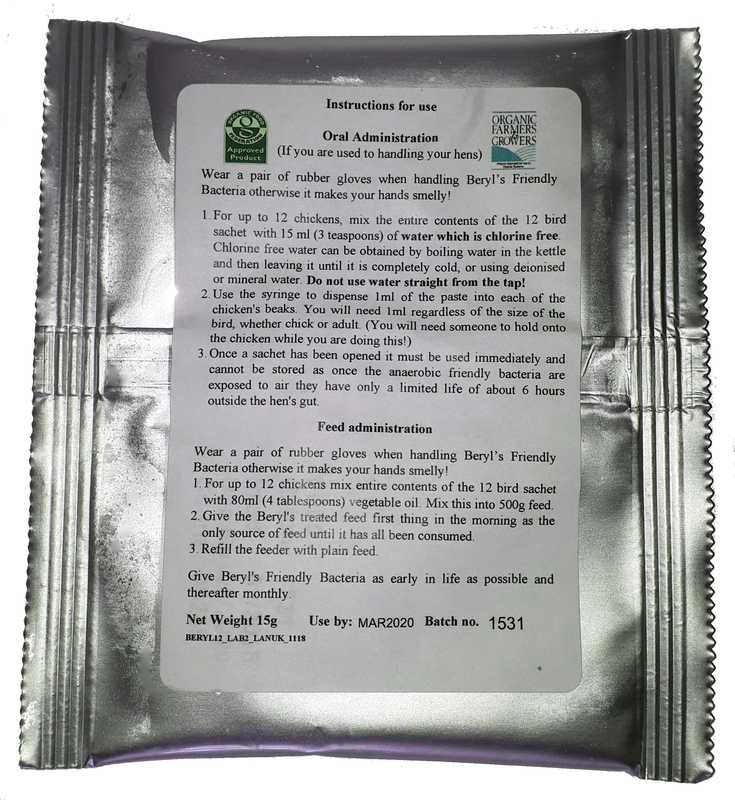 To do this, the healthy micro flora colonize the gut and produce a low oxygen, low pH environment, which is unfavorable for enteropathogens. As the gut is colonized by the complete micro flora, there is competition for essential amino acids and sugars between anaerobes present in the normal gut microflora and enteropathogens. 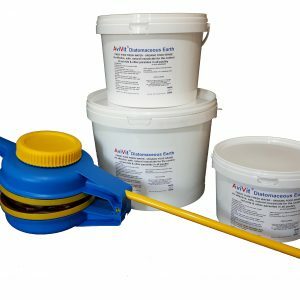 Beryl’s Friendly Bacteria are manufactured in the U.K. by Lallemand Animal Nutrition Ltd., producers of Aviguard, which is used extensively in the poultry industry. 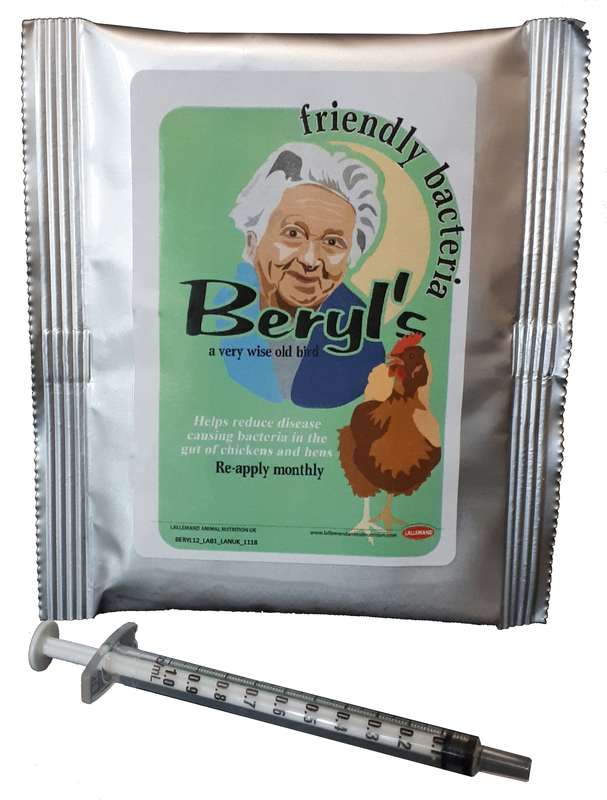 The Beryl’s retail pack contains a complex range of Friendly Bacteria, which help to colonise the chicken’s gut, forming a physical barrier against harmful bacteria such as Salmonella, E.Coli and Clostridium Perfringens. 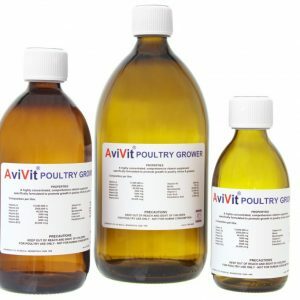 This pack treats up to 12 birds, and we advise treating hens monthly. Beryl’s is approved for Organic birds by the Organic Farmers and Growers, and the Organic Food Federation. Store in a refrigerator at 2-8C when not in transit. Protect from light, raised temperature and humidity.